RHEUMATOID ARTHRITIS: Two words that have had an impact on my life since I was diagnosed at eighteen years old, over fifteen years ago. Growing up I had always been very active. In high school I ran cross country and track, played softball and swam on the swim team. I received varsity letters in all five sports and held records in both cross country and the swim team. Swimming competitively played a huge part in my life since I was six years old. Growing up I would watch college swim competitions on the television and pick out which colleges I wanted to swim for. That dream I had of swimming for a division one school when I was younger was about to come true when I was a senior in high school and started talking to college swim coaches. However, that dream was shortly crushed when a disease I had no control over decided to creep up on me. I started to experience stiffness in my joints that felt like they were on fire. Joints in my fingers, wrists, and feet were all tender to the touch and felt as if they were constantly throbbing. Daily routine tasks like brushing my teeth became a struggle. Joint pain was followed by a consistent low grade fever that would not go away. My usual active teenage self started to feel sluggish and an unexplainable feeling of constant tiredness was a symptom I was not used to and knew something was not right. My parents took me to the doctor where my doctor decided to take blood work. It was June of my senior year when I heard the most devastating words a young, active, competitive, high schooler could hear, “You have RHEUMATOID ARTHRITIS.” Words that have rung in my ears for the last fifteen years. I had so many questions, but the only response I could mutter was, “HUH?” As the doctor stared back at me, waiting for me to respond with something with a little more substance, I managed to utter, “I am only 18 years old, that’s not fair!” I quickly came to realize that RA didn’t care about hopes, dreams, age, or fairness. It didn’t discriminate at all. As I woke every morning to pain and fatigue, I learned my only hope for relief was in the form of injections. Over the years the injections became more and more routine, but the pain and fatigue these injections were designed to fight still managed to rear their ugly head on the hardest of days. This new “reality” set in quickly. Slowly I tried to gain back control of my life and adapt to this new obstacle. I was going away to college, which was an exciting time, but I was giving up on a passion of swimming that I had since I was six years old. I always thought of myself as being resilient, but how was this true if I was letting an illness determine what I could and could not do. IT WAS AT THAT PIVOTAL POINT I promised myself that I would never let RA dictate or stop me from doing something I was passionate about or wanted to pursue in the future. Ever since I was diagnosed, RA has tried to say “NO, YOU CAN’T,” but with the power of positivity and optimism I have managed to say “YES, I CAN.” I achieved the rank of Bo Black Belt in Muay Thai, successfully ran a half marathon and crossed off a bucket list item with two Marathons in New York City. I also love to ski, hike, play intramural sports such as volleyball and softball, and travel. Keeping active has helped me stay positive. I may have RA, but I won’t let it keep me from doing the things that I love, living my life, and remaining positive and upbeat for those around me! I am also a huge Wonder Woman fan. Wonder Woman to me is a positive role model due to her nature of facing fears and always following through with what she believes in. She never lets anyone or anything get in her way. I decided to get the Wonder Woman Logo tattooed on my ankle as a constant reminder of how strong I too can be even when I have flare ups or am having a day that is trying to knock me down and stand in my way. Everytime my RA says, “NO YOU CAN’T”! I stop, take a look around, and think…STAY POSITIVE. I keep my head up and remember all of the amazing support systems I have in my life and the journey that awaits! I have many morale boosters that come in the form of family, friends and a husband that is my daily dose of, YES YOU CAN! In my 15 years of being diagnosed, it’s crazy how much medical research has been done and how many different treatments have come out. I have taken several different combinations of medicine that have all seemed like trial and error to figure out what would be most effective for my body. It all started with mixing my own medicine, then came vials, that I needed to pull medicine out of with a needle that was at least an inch long, subsequently needles became pre-filled, now I use what is called an automatic injector. I hope that I continue to see progress like this which in turn will bring normalcy to those who suffer from this terrible disease. 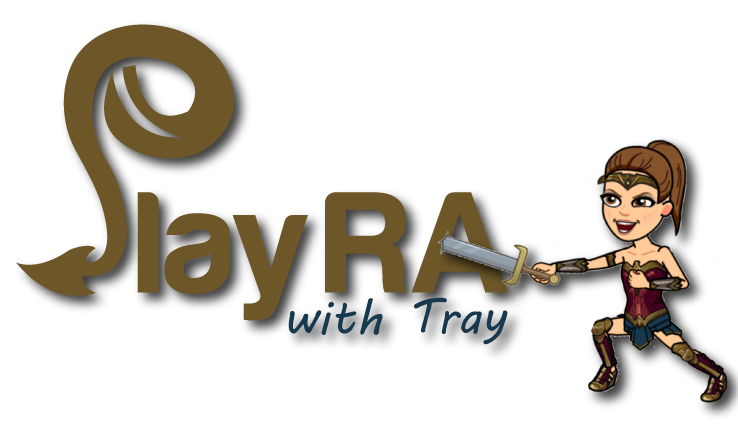 Most recently I joined a RA Social Networking site called “My RA TEAM” as well as discovering “The Mighty”, a community that helps people with health disabilities and challenges connect with one another. Through both resources I have learned about other people going through the same journey, living life with a chronic illness. I am amazed to read and learn about how so many people are not on proper medications due to insurance and how only a fraction of United States research is given to Rheumatoid Arthritis. Reading other people’s daily struggles and obstacles with the disease has given me more of an incentive to want to do more for RA research and the people suffering from the disease. After doing some research, I found the “Racing for a Cure” website and teamed up with them to create a fundraising page for the Asbury Park Half Marathon. While I have run marathons before, this one is going to be different. I recently married my best friend and we began thinking about our future in regards to having a family. In order to make our dreams of having a family come true though, I had to stop my medication to avoid any possible complications or health risks to the baby. I have relied on my medicine for fifteen years to help put a bandaid on my rheumatoid arthritis. I was petrified of taking that bandaid off and reverting back to everyday chronic pain, overwhelming inflammation, fatigue, and struggling on everyday tasks and routines. However, I made that promise to myself and RA was not going to dictate our plans or keep me from spreading awareness. I will be running in this event on April 21st. The money that is donated will be used on funding arthritis research to find new treatments and cures for osteoarthritis, rheumatoid arthritis, lupus, juvenile arthritis, ankylosing spondylitis, psoriatic arthritis and other autoimmune diseases. RHEUMATOID ARTHRITIS: Those two words that came from my doctor’s mouth and rang in my ears 15 years ago are now ringing for a different purpose. They are now ringing to RAISE money, RAISE awareness, and RAISE hope to others who also have RA. So proud of you! You’re an inspiration! Omg! Love you so much!! So proud of all of your accomplishments!!! You keep rockin it girl!! Keep on rocking, you know it! Thanks Kari! This is so great, hope this helps others as well as you! beyond proud! I definitely hope so too! I am so proud of everything that you have achieved,nothing can stop you from doing what you set your mind to. Awww thank you so much Linda. Love this. So proud of the woman you have become and the strength that you have. Always Stay Positive. Thank you so much. Really means a lot to me. Positive thinking is the best medicine. Love reading about your adventure! Anxiously awaiting the next chapter! Yeahhhh! It most certainly is an adventure and loving every moment. Positive vibes! Thanks so much. Your story is so very similar to my daughter’s experiences. disease. Hang in there, you’re doing great !! Thank you so much Ed. Love hearing from fellow RA warriors. Really means a lot.